CosmoCaixa museum is a must see for the family when visiting Barcelona. It is considered one of Europe’s most beautiful science museums and boasts a miniature Amazon rain forest, as well as a planetarium. The museum hosts many interesting, interactive activities for the kids. It also supports needy local projects, so your proceeds will go to good causes. We wish you a lovely stay at our hotel for family in Barcelona. 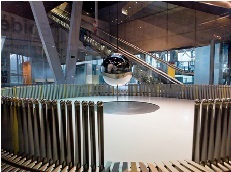 CosmoCaixa now resides within the same building that was Spain’s first interactive Science Museum back in 1981. 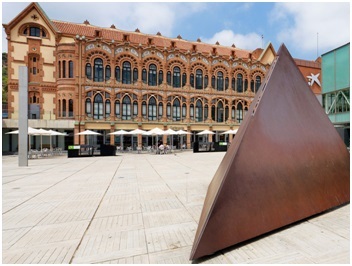 The “la Caixa” Foundation, with the assistance of architects Enric Sòria and Jordi Garcés remodeled and expanded the building back in 1971, and then the building was refurbished by Robert and Esteve Terradas around 2004. At the time of remodeling the premises, much of the old style of the building was preserved, and the brick finish is a result of some restoration of the walls of the old Modernista building, so it makes for an impressive site. The new facility is therefore substantially larger and more modern, with its modern steel and glass finishes. 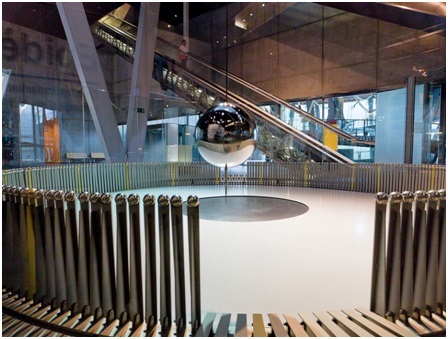 Today, the modern CosmoCaixa offers a floor space spread across over 30,000 square metres, all dedicated to the theme of science. Dare you meet the alligators and snakes? The rain forest is a residence for alligators, snakes and birds, which should surely capture the kids’ attention! The recently opened planetarium holds various different shows throughout the day, so you’ll easily be able to spend a full day there, educating yourselves and having fun! The entire site comprises of 50,000 square metres, so it is four times larger than its predecessor from the 1970s. You will find nine floors, six of which are underground (yet still contain natural light), and there is a big public plaza from which you will be privy to spectacular views of Barcelona. What else can you do at CosmoCaixa? ‘Toc Toc’ is a workshop in which the children get to learn about and interact with a range of creatures. ‘Clik’ workshops is designed for your younger children, aged from 3 to 6. In this workshop they will be able to discover the modes of touch and smell. ‘Flash’ workshop hosts another interactive activity for children between the ages of 7 to 9; the museum has built a geological wall from around ninety tons of rocks. All activities can be booked at the centre itself when you arrive, with any cinema tickets needing to be purchased online ahead of the time. Opening times are Tuesday to Sunday, from 10:00 to 20:00, and tickets will cost €4.00 for adults, but is totally free for those under 16. http://www.servicaixa.com sells tickets and you can also purchase them at ServiCaixa cash mashines. If you love it so much that you want to attend regularly, you might be better off purchasing a family card to get unlimited yearly entry, and reduced price activities, at €15. Have a lovely stay in our aparthotel for family in Sarrià!